Over-expressing CD47 is one of the many approaches utilized by tumor cells to evade macrophage surveillance. 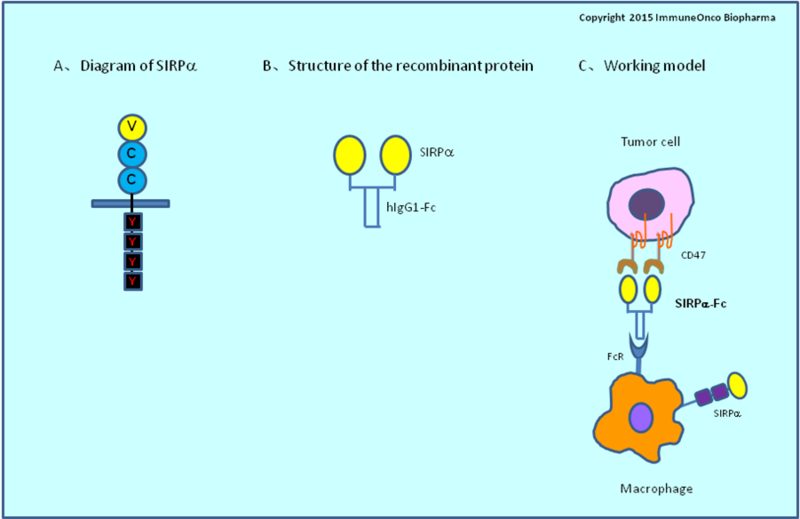 To break the evasion, we engineered a recombinant Fc-fusion protein that can build a shelf between SIRPα and its ligand CD47. In the meanwhile, The Fc portion can bind with activating Fcγ receptors (FcγRI, FcγRIIa, FcγRIIIa) that will activate phagocytosis.